Jan 21 (Reuters) - Women's-apparel retailer Charlotte Russe Holding Inc (CHIC.O) said it is evaluating a number of strategic alternatives, including a possible sale of the company, and has received "potential expressions of interest from third parties." The company also posted a surprise quarterly loss and forecast a second-quarter loss that was wider than market estimates. 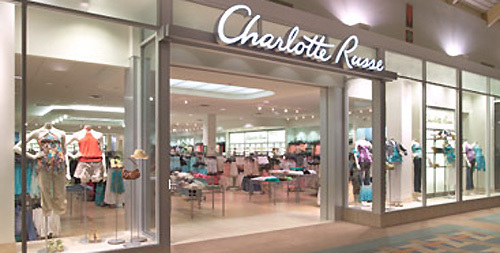 In November, Charlotte Russe had received a buyout offer from its shareholder KarpReilly Capital Partners LP, which had offered to take the retailer private in a deal valued at about $198.6 million. But the offer was withdrawn a few days later, after the company denied the shareholder's request for access to due diligence material. The company is being given financial counsel by Cowen and Co LLC, while Covington & Burling LLP and Cooley Godward Kronish LLP are providing legal counsel. Charlotte Russe, which sells apparel and accessories targeting young women in their teens and twenties, expects a loss of 10 cents to 20 cents a share for the second quarter, against analysts' average estimate of a loss of 7 cents a share. The retailer, which competes with Abercrombie & Fitch Co (ANF.N) and Hot Topic Inc (HOTT.O), also expects sales trends to remain soft in the second quarter amid a weak economic environment, the Easter shift and the seasonality of its business model. Teen mall retailer Charlotte Russe Inc. is reportedly considering sale or bankruptcy following a bailout announced in December of 2017. The Charlotte Russe app allows for customers to shop the fast fashion retailer's Instagram feed and search for items at any Charlotte Russe store. Since launching in July 2016, the app was downloaded 1 million times.